We own a normal waffle maker and wanted to try a Belgian waffle maker. We just got one and it’s great! But first we had to find a recipe that was eating healthy friendly! I don’t want a Belgian waffle that takes a 1/3 of my daily Weight Watchers PointsPlus! 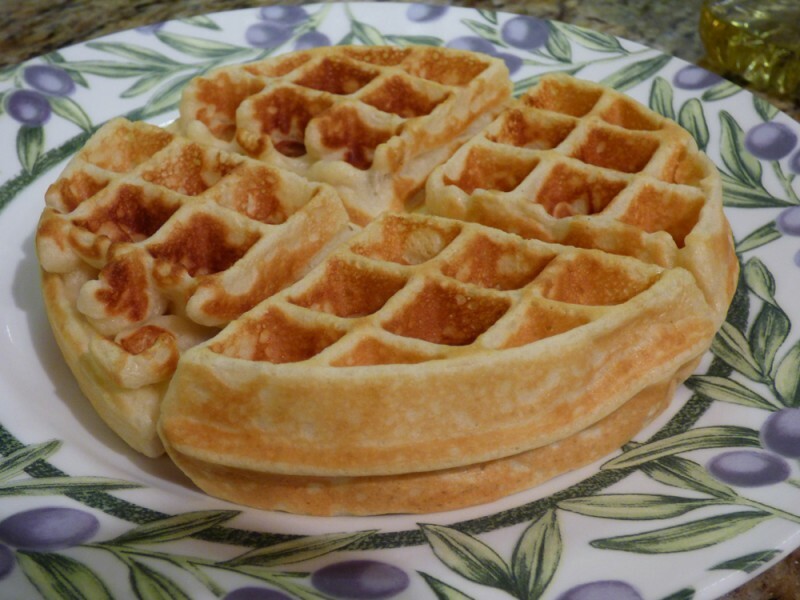 Some Belgian waffle recipes start with a stick of butter. For us, that just isn’t going to work. We have to keep our saturated fat amounts lower and be cognizant of what we’re eating. This recipe tasted great! Next time I will substitute 1/2 of the flour for whole wheat. Another time I will try our eggless buttermilk batter and see how it works. I used 2% milk. Someday soon I will calculate the points per waffle for you. I can only eat half of this waffle, it’s 1.5″ thick and very filling, especially when fruit is added! In a small bowl, beat the egg whites until stiff (or use a stand mixer). Mix together the egg yolks, milk, and oil and stir slightly. Fill your Belgian waffle maker accordingly, cook until golden brown, and repeat. 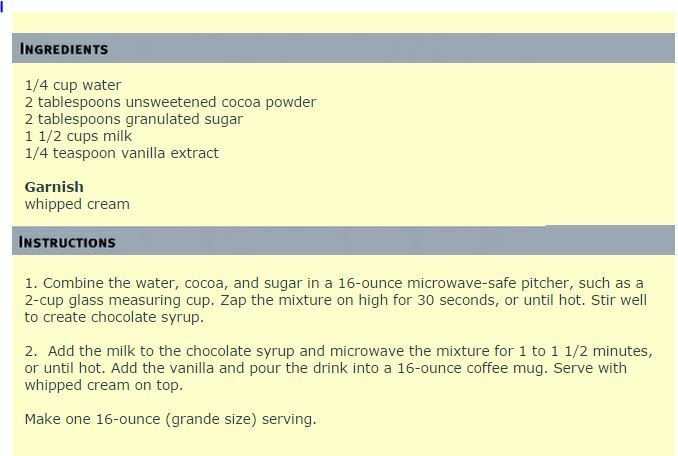 I have had no luck making hot cocoa in the past even though I’ve tried a few recipes. They were either way too bitter, or had too much headache-inducing cocoa powder, something was always wrong! I used a Pyrex glass container with a handle and it was easy to whip up in the microwave. 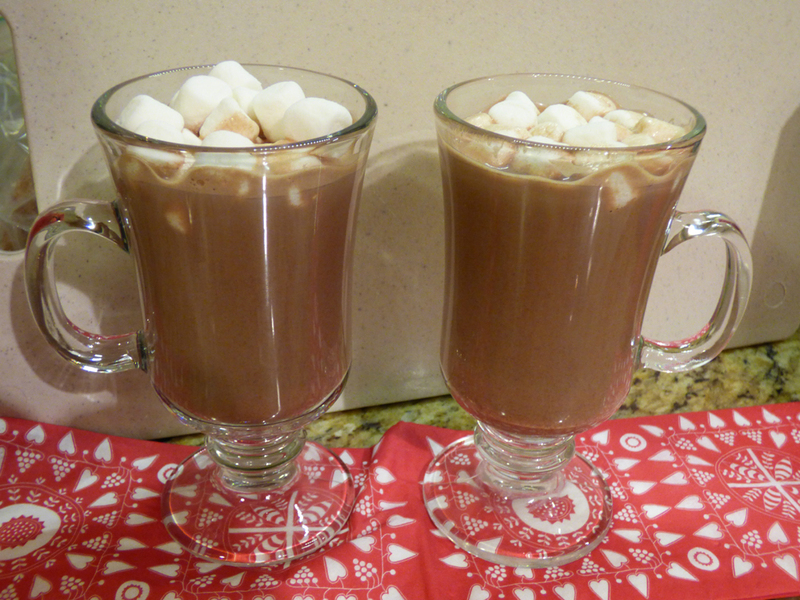 I followed this recipe to a “T” and it came out so smooth, tasty, and was my ideal hot cocoa – excluding the fact it was missing whip cream, but we can’t always have everything! Next time, yes. This recipe is from Top Secret Recipes, please check them out! A+!! 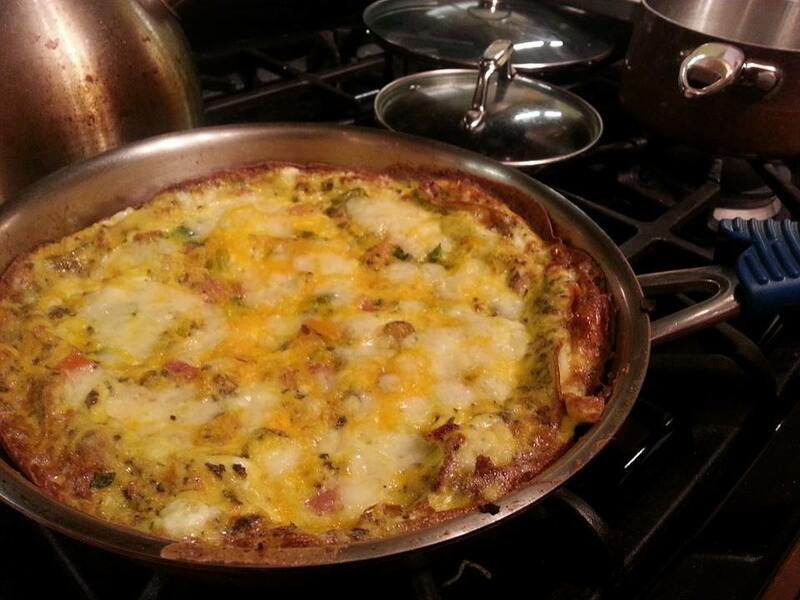 I just made this simple frittata. When you feel like taking it easy or avoiding the carbs of a quiche crust, this is perfect. There are so many combinations for meats, cheeses, and veggies here, it’s all up to your preferences. This is from my Better Homes & Gardens cookbook. I used chopped cooked ham, swiss and shredded cheddar cheese, and 2 cups mixture of broccoli, and four colors of sweet bell peppers)! ENJOY! 1 1/2 cups fresh veggies, such as summer squash, broccoli, and/or sweet peppers. NOTE: Onions can bother some people, so tread carefully. Use onion powder or omit. In a large Pyrex or bowl, combine eggs, basil and salt – set aside. Heat oil in a large boilerproof skillet – I used a 10″ steel skillet. Add veggies and green onions. Cook, uncovered, over medium heat about 5 minutes or until veggies are crisp-tender, stirring occasionally. Pour egg mixture that was set aside, over veggie mixture in skillet. Cook over medium heat. As mixture sets, run a spatula around edge of skillet, lifting egg mixture so uncooked portion flows underneath. Continue cooking and lifting edges until egg mixture is almost set (surface will be moist). Preheat broiler. Place skillet under broiler, 4-5″ from heat. Broil 1-2 mins or until top is just set and cheese melts. (Or preheat oven to 400, bake for 5 mins until top is set). I found this recipe off food.com, one of my new favorite places for always great recipes, besides Allrecipes.com. I threw it together in less than 10 minutes and it simmered away for 20 minutes. It was easy – just watch your heat and time, you don’t want the bottom of your pan to turn into a hard, crusty rice disaster. We had some for dinner and put the remainder of it into our freezer burritos. This time our freezer burritos were made with chicken! 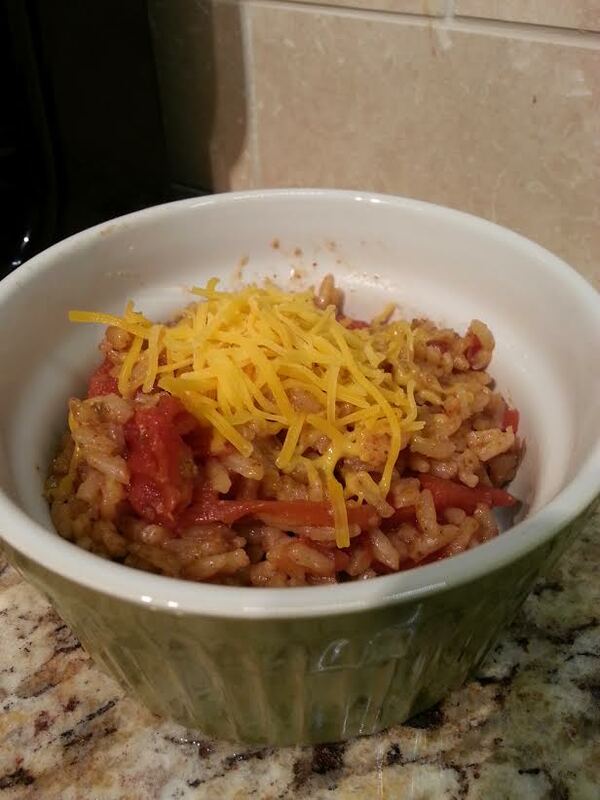 Back to the recipe at hand, I think you’ll enjoy this quick Spanish rice. I am sure there are more authentic recipes out there but this one is fast! In medium saucepan, combine all ingredients (I usually mash tomatoes with potato masher or give them a quick spin in food processor). Cover and simmer 25 minutes or until rice is done. (Unless you like sticky, gooey rice, don’t take off the lid and stir at all until it is done). Garnish with green onions and/or cheddar cheese. This is one of my super keeper recipes! Why? Because it’s nearly effortless. If you have FIVE minutes you can throw this together before you zip out the door, a few hours before dinner! It’s THAT easy. It’s from a Betty Crocker book. I’ve been making it years! I’ve experimented and added dried fennel seeds and played around with it. It never fails! If beef roast comes in netting or is tied, do not remove. In 3.5-4 quart slow cooker, place beef. In small bowl, mix remaining ingredients except bread, pour mixture over beef. Skim any fat from surface of juices in slow cooker, discard bay leaf and peppercorns. Remove beef and place on cutting board. Remove netting, if applicable. 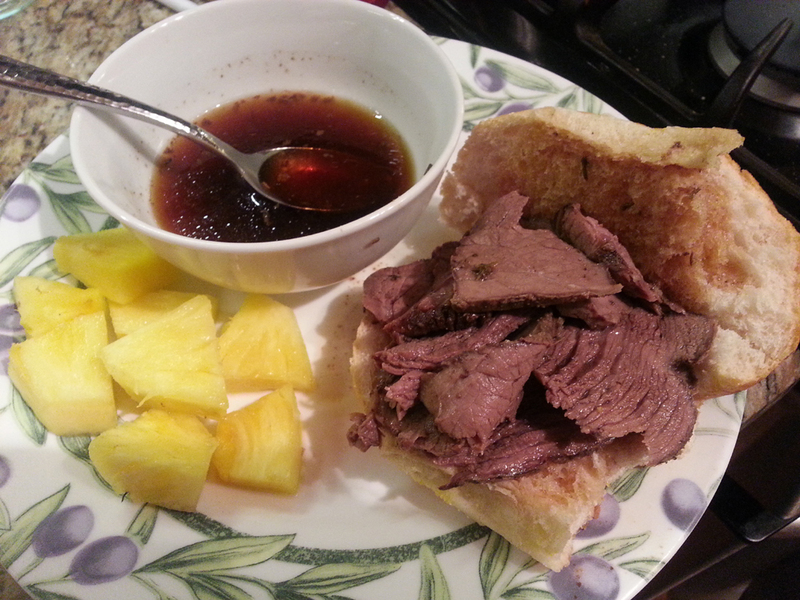 Cut beef into thin slices and place on cut bread. Serve with broth for dipping! 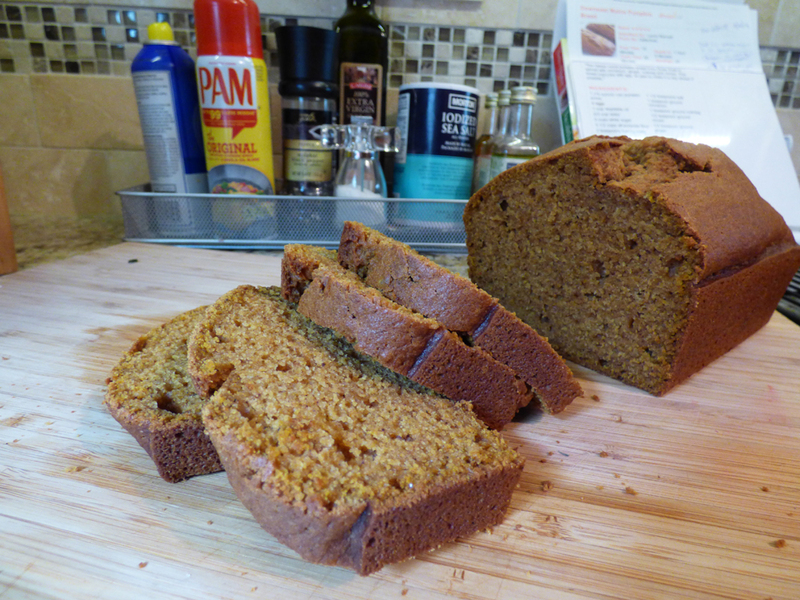 I was in search of a new pumpkin bread recipe. I have a recipe that is eggless but wanted to try one with eggs. This one fits the bill and was excellent with a little whip cream on top. I reduced the sugar from 3 cups to 2.5 cups (1 cup white, 1.5 cup brown sugar) and it was just sweet enough, but not too sweet. I wanted it more on the savory side. Also, to make it healthier, I did 1 cup wheat flour and 2.5 cups regular white flour. Great recipe! **Known IC irritants, tread carefully! Check all the spices and make sure they’re safe for you! To make this safe, omit the cinnamon and only use safe spices. Preheat oven to 350 degrees F (175 degrees C). Grease and flour three 7×3 inch loaf pans. 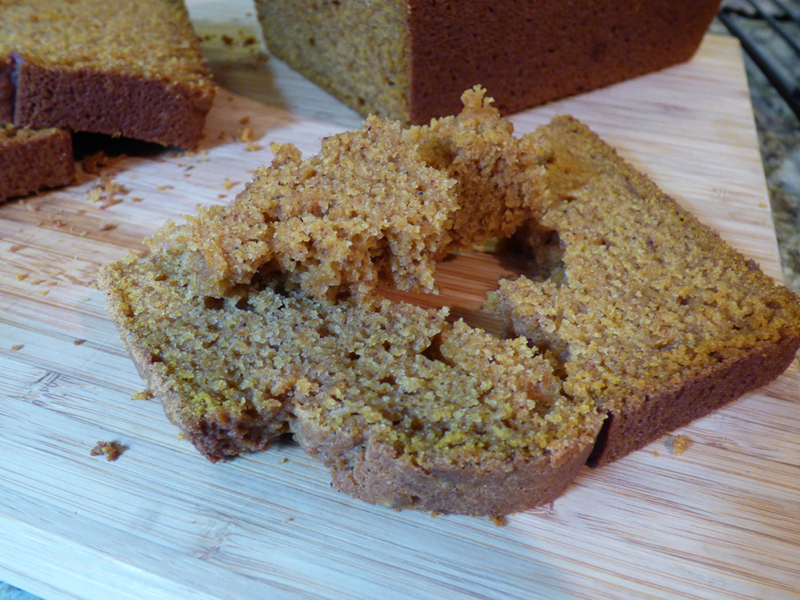 I just used two standard loaf pans, even though this recipe says three 7×3″ pans. 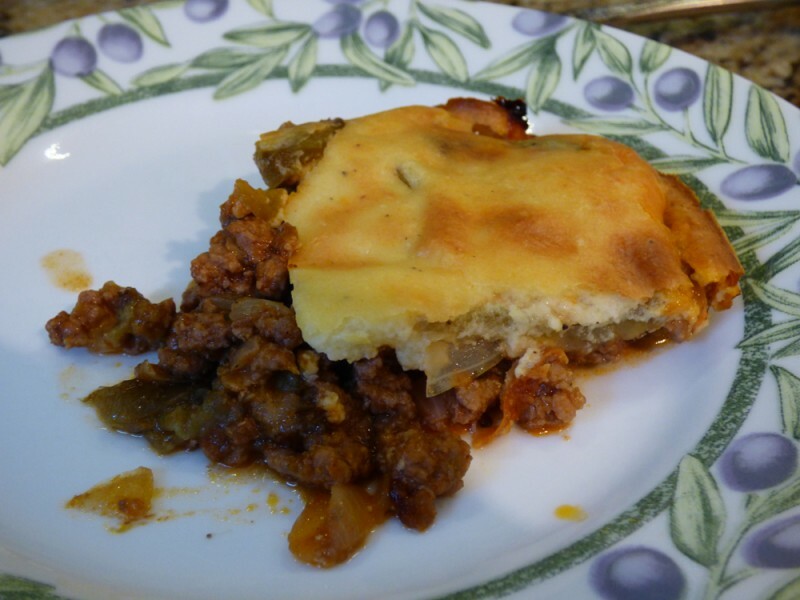 I have always wanted to make moussaka and finally did it! I just defrosted a piece I froze and it came back beautifully with full flavor! It’s an awesome dish with loads of distinctive flavor. I must say I don’t usually use eggplant in a way that works for me, but this dish does! It almost tastes like perfectly roasted green pepper. It is an effort to make but extremely worth it! I got this off food.com, #88804. I used a 13×9″ pan and I’m glad I did! Good luck! Peel the eggplants then slice 1/4-inch thick (or a little thicker won’t hurt). Brush cookie sheet with olive oil. Coat each side of sliced eggplant with olive oil then season slices with salt and freshly ground pepper (I use seasoned salt for this and use as much pepper as desired). Place the eggplant slices on cookie sheet; broil under the broiler until brown; turn and broil the other side, brushing with oil if needed; repeat with all eggplant slices. In a large skillet, combine beef and onions; cook stirring until the beef is no longer pink and the onions are soft; drain fat. Add in the garlic, tomato sauce, oregano, 1/2 tsp salt and black pepper to taste; pour mixture over eggplant slices. Arrange the remaining eggplant slices over the beef mixture. PREPARE THE CHEESE SAUCE: Melt the butter in a saucepan, whisk in flour, 1/2 tsp salt and pepper to taste; gradually stir in half and half or milk, cook and stir over medium heat until thick and bubbly. In a small bowl, beat egg; stir in some of the hot sauce, then add egg to sauce mixture, mix well; add in Parmesan cheese, and stir again. Bake in a preheated 350 degree F oven for 45 minutes. 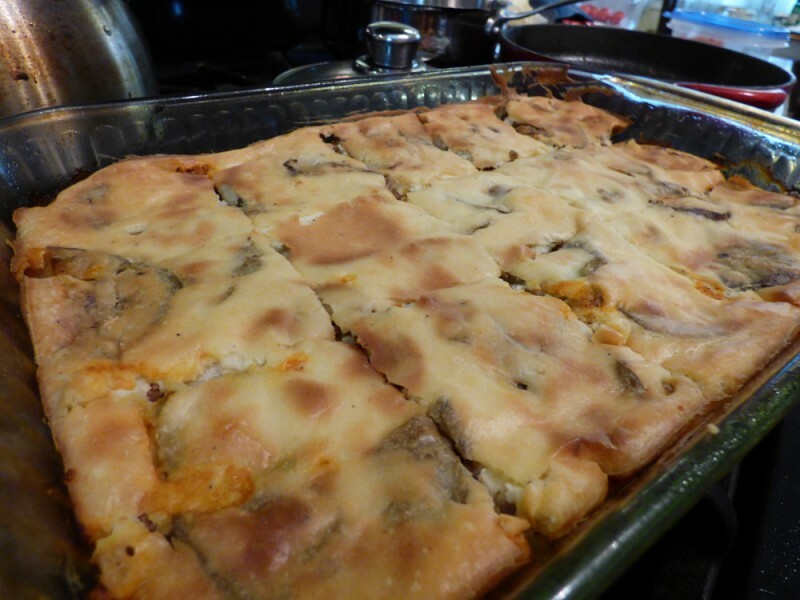 Note: If doubling this recipe to serve 8 it is best to make two separate casseroles instead of one larger one.